Kali Linux is a free and open source Debian-based operating system. The operating system comes equipped with many powerful cybersecurity tools, many of which are free and open source as well. Many cybersecurity professionals rely on Kali Linux for penetration testing, cybersecurity analysis, network monitoring, and a host of other cybersecurity tasks. Much like the operating system itself, there are many resources for learning Kali Linux that are available free of charge. There is a book titled “Kali Linux Revealed” that is available for free on the official Kali website, free training for Kali Linux concepts and tools available on the internet, and a course for it from their official site. The book is very comprehensive and covers everything you need to know about the basics of Kali Linux and the workings of the tools it comes equipped with. The book covers the essentials of the operating system and walks you through the process of installation. The book also covers Linux fundamentals as well as methods for accessing resources for the operating system’s programs. There are also resources for advanced usage, securing and monitoring the operating system, different types of security assessments, and the use of Kali Linux in business-oriented applications. There is a wealth of free training courses available online for Kali Linux. Cybrary provides many courses and tutorials on Kali Linux, including certification courses. Some might prefer the format of online courses, but some courses are necessary to pass certification exams in the use of Kali Linux. These free training courses provide learning objectives as well as video lectures and downloadable material. These courses help to focus learning on specific applications as learning every detail of the Linux OS from scratch may be daunting or unnecessary. If you do choose to take an online course, the book is still available for reference. Finally, there is an official course from kali.org located at kali.training. This course is designed around “Kali Linux Revealed” and covers each chapter. This course contains the same information within the book but allows users to interact with each topic and mark them complete as they go along. Taking the course along with the book can help you solidify your understanding of the material and break down your learning goals into steps. The course also contains exercises, but it is recommended that you read the relevant material in the book before trying any commands from exercises. Kali Linux has many powerful applications in the field of cybersecurity, but these features remain invisible and unusable unless you have a working knowledge of them. 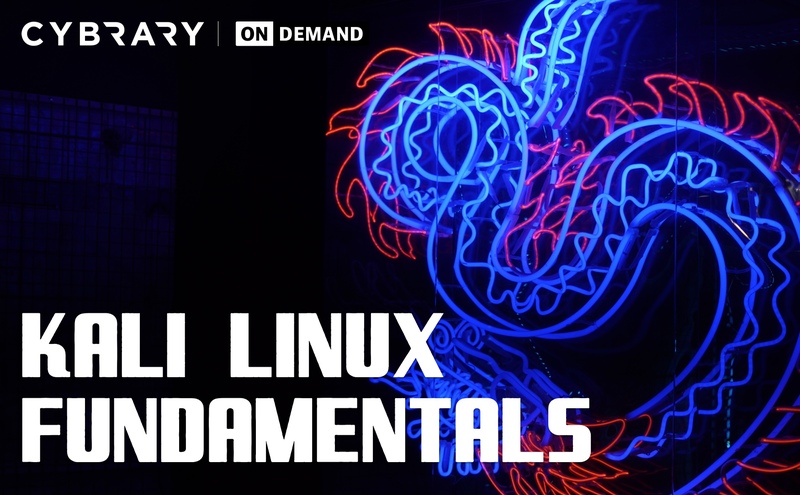 Manual pages provide detailed information on the use of Kali Linux’s programs, but larger concepts as they apply towards their use and configuration require skills and training. Security assessments and example cases provide insight into the usefulness and operation of Kali Linux tools, and an experienced user can carry out several complex network security tasks using prior knowledge. Establishing a foundation for the use of Kali Linux is crucial for many cybersecurity professionals in the industry. TL;DR Kali Linux is an operating system with a powerful and complex suite of cybersecurity tools. The operating system is free and open-source and comes equipped with many free programs. There are many resources available online, free-of-charge, for learning Kali.